Looking for Christmas gifts for the toddler boy in your life? 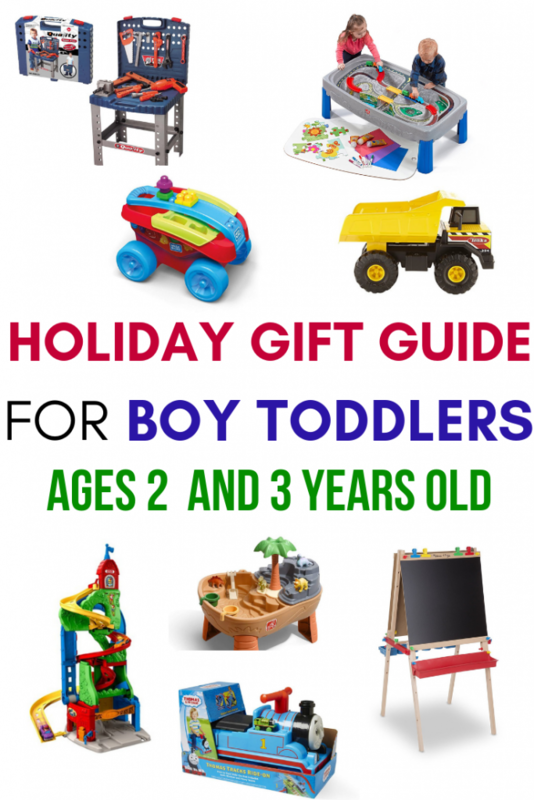 This gift guide is perfect for 2 and 3-year-old boys! All toddler-tested and approved! Oh my word, little boys have to be some of the craziest, most energetic and lovable beings in of all God’s creation. My twin boys are 3 and a half now, and they alternate between melting my heart, cracking me up, and driving me stark-raving mad. But they are my boys, and they have my heart. Always will. 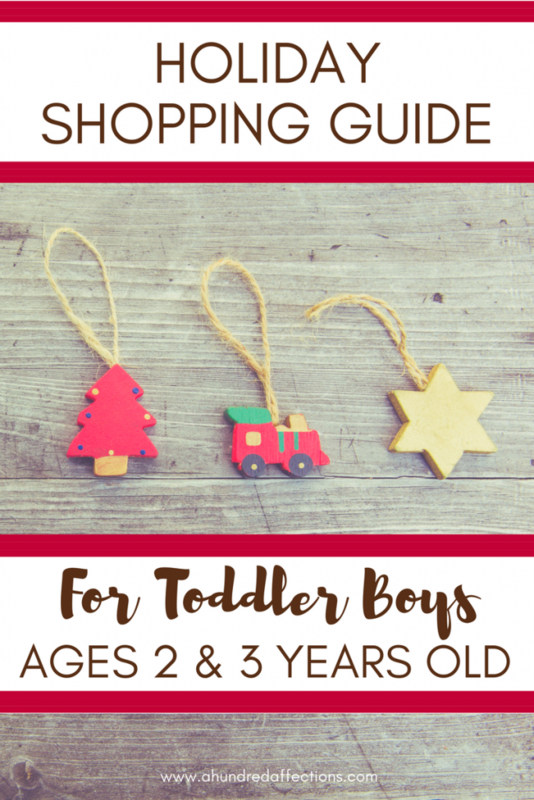 I don’t mean to stereotype by making a ‘boy’ toddler gift guide. There are exceptions to every rule, and I’m sure some little girls out there love all this ‘boy’ stuff. All I can say is that, from my own experience with my little guys, they are ‘all boy.’ They don’t require a lot of variation in what they love to play with. If it has wheels and they can push it, whether it’s big or small, it’s usually a win. If it an accessory to something that has wheels and they can push (a slide, a ramp, a racetrack), it’s usually a win. If they can bang, smash, hammer or throw it, it’s a win. These toys are ALL fan favorites of my boys. These are the ones that come out and stay out all day and have been on their playlist during both 2 and 3 years old. Many of them we stumbled upon by accident – in the church nursery, at a friend’s house, hand-me-downs – but once I observed my boys playing with them, I knew they were keepers! 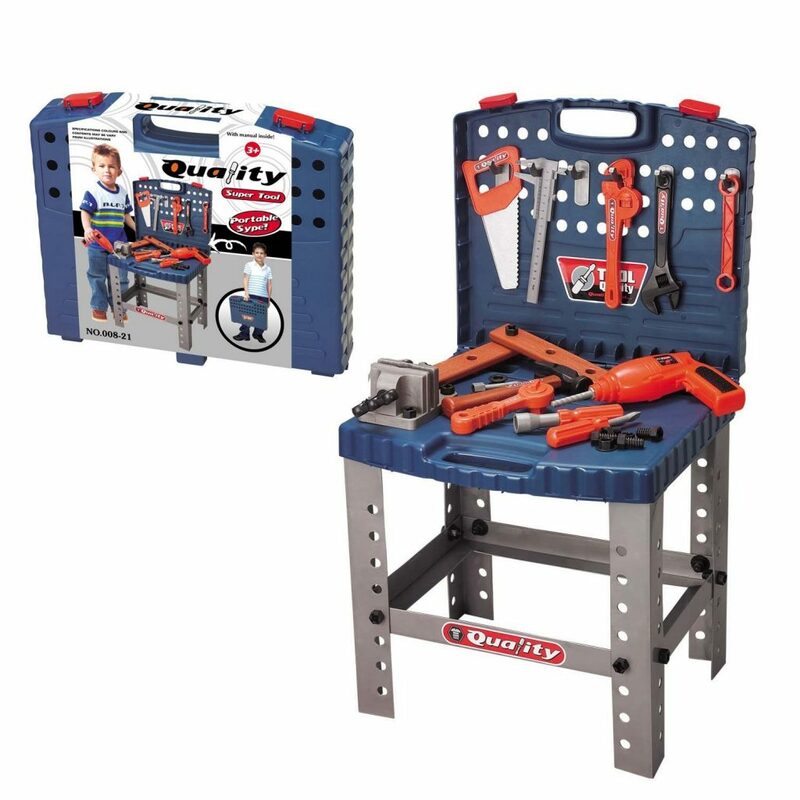 These are all perfect gifts for the ‘all boy’ toddler! 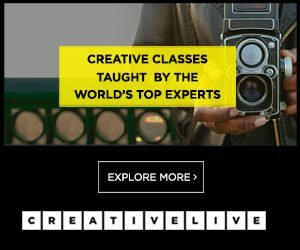 This post contains affiliate links: I receive a small commission on items purchased through these links at no extra charge to you. After a long car trip from NY to NJ to see my old college friends and forcing my little guys to skip their naps, this toy was worth its weight in GOLD! My friend’s son had outgrown this and she pulled this out for my boys. They played with it All. Day. Long. I’m not kidding. For HOURS! I was over the moon when she gave it to us! This comes out every day. Our neighbor had 2 Tonka Trucks like this that his own son had played with. They were moving, so they passed them on to us as well. I was worried that the steel might be too rough for my 2 year olds, but not so. It is so sturdy and durable and can take the beatings my sons give it! These are their favorite backyard toys. They just love to run and push them all over the yard and put rocks and sand and whatever else they can find in it. This was another keeper from our trip to NJ. Another toy my friend’s son had outgrown became hours of amusement for my boys. 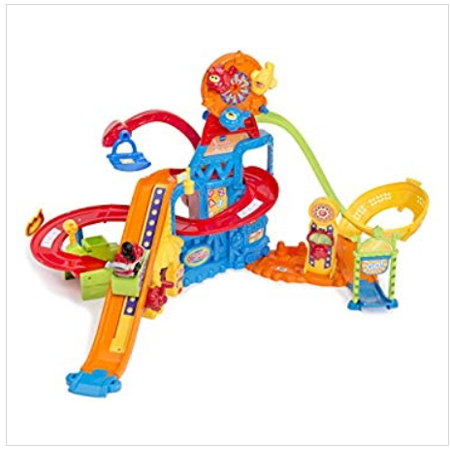 This does take up a little bit of space – we keep it in the basement play room – but, they get so excited when I tell them we are going downstairs because they know it’s racetrack time! This is the latest model of this toy -can’t go wrong with a toy little boys can hold on to the back and run it like crazy all over the house. 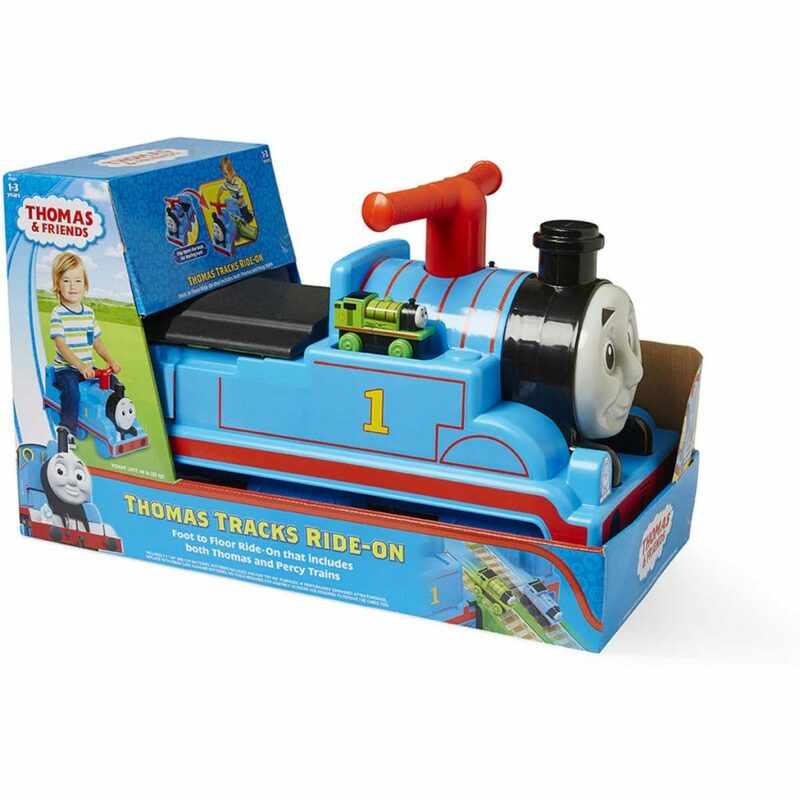 What’s great about this one is that the seat opens up to a train track ramp! 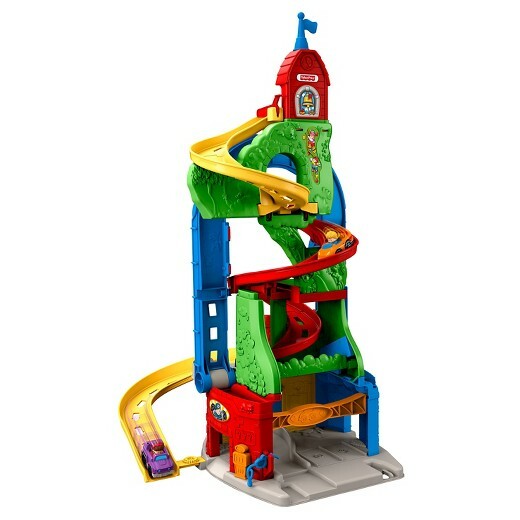 And my boys LOVE anything they can slide trains and trucks down! I originally thought my boys wouldn’t be into something like this, but thank you, church nursery! The boys love it! Seriously, what could be wrong with something where doors open and close and you can take things in and out (and in and out – and in and out)? 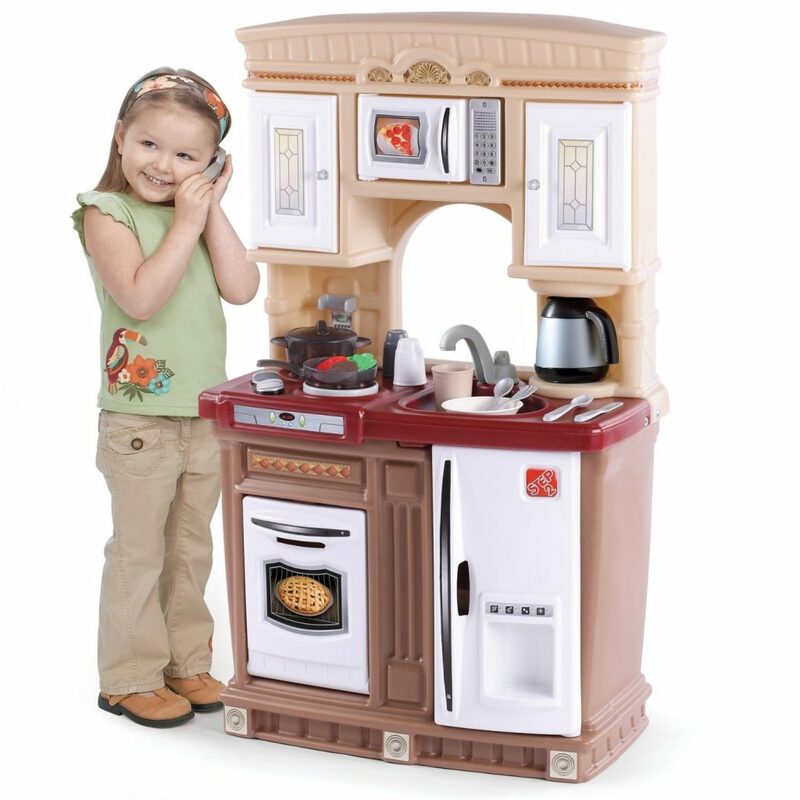 They love tooling around in the kitchen in real life, and this toy kitchen gives them lots of fun play time. This was a hand-me-down from my sister, and the boys love this one so much. They test out their tools and ‘fix’ everything in sight, and, oh my goodness, the hammers. But I don’t have to tell you how noisy life with boys is! We landed on this one at our local library, and I cannot tell you the DRAMA when I tried to pull my son from this when it was time to go home. You would have seriously thought I cut off his leg. He played with this the entire time we were there. This is another treasure we found at church as well. These magnet cars keep my boys busy for such a long time, too! They love just stringing them together and pulling them on the train table, on the floor, on the kitchen table – doesn’t matter. 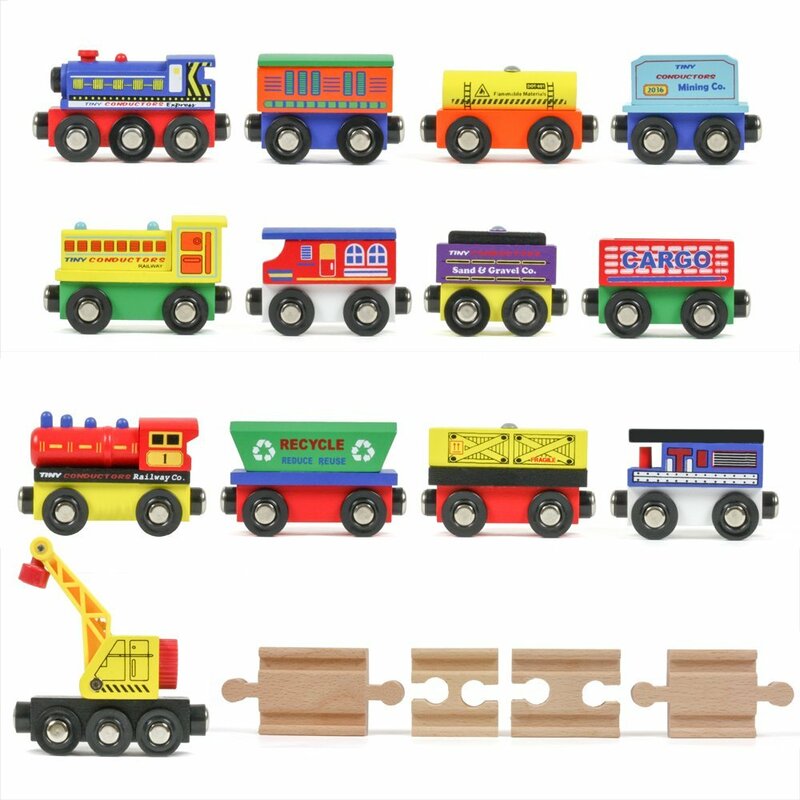 These are perfect for any train table. And the magnetic crane is the icing on the cake in this one! 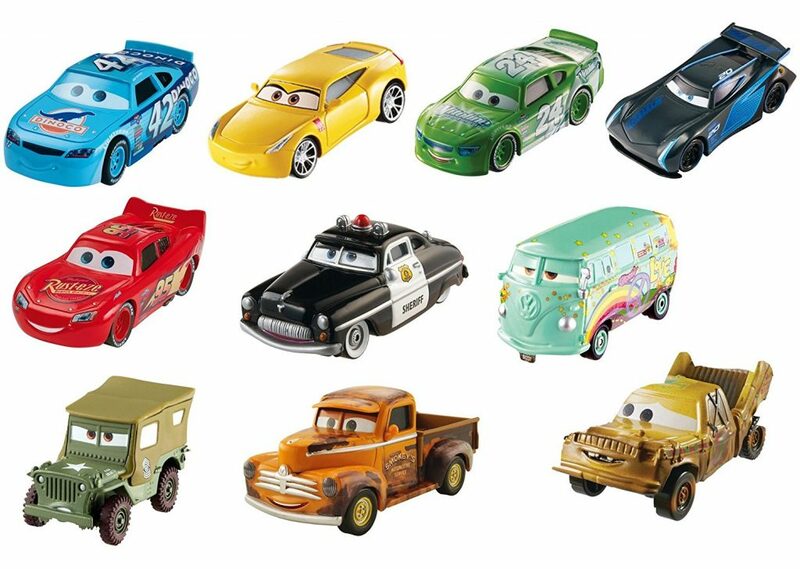 My boys are not really into the movie Cars yet, but these little guys are my boys’ best friends. They are their go-to toys when they need a toy for the car, when we go to the park, when its meal time, what they hold when they are getting ready to go to bed. Maybe it’s their eyes and faces? But my boys ADORE these cars. When I can pry trucks and cars out of their hands, they love to draw and color. 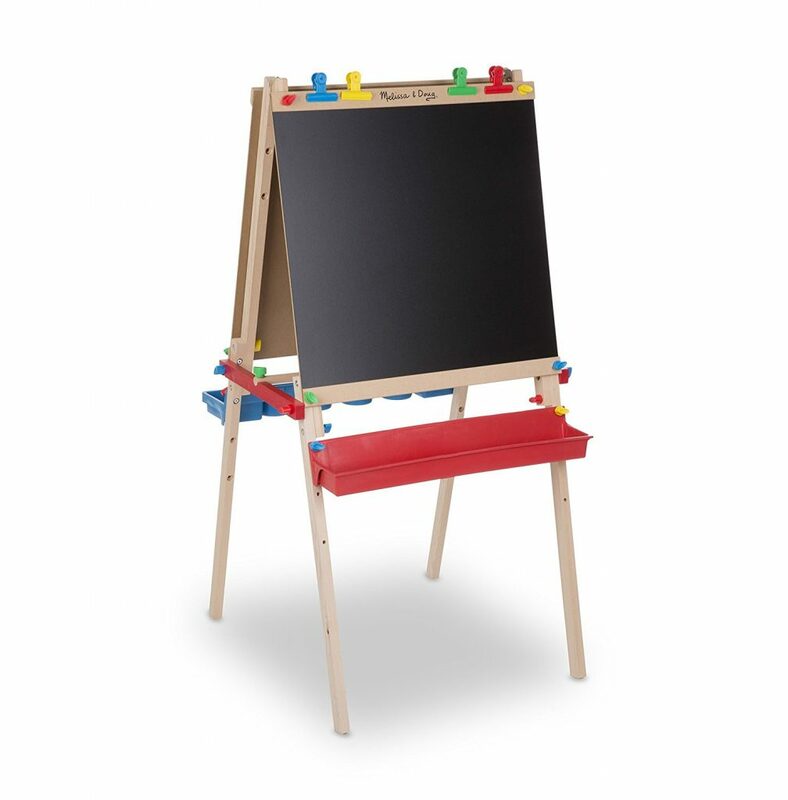 Chalk is one of their favorites (on the walls, especially), but when I can guide them to this easel, it’s fun for everyone. I’ve noticed that between 2 and 2.5 years old, the boys are settling down enough to do some activities while sitting. They love this board. The colors are so fun, and I don’t have to worry about crayons or markers or chalk all over the house. 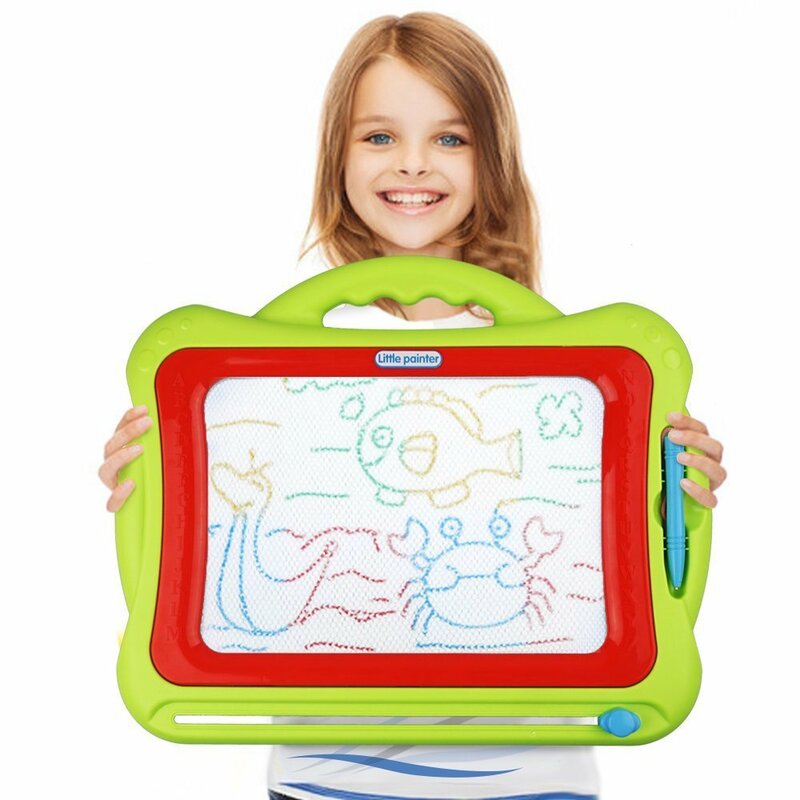 They love when I draw pictures on it, and they have to guess the object. This makes it super-simple and no mess. These horses are so fun. It’s so funny to see when they just randomly pull these out and start bouncing. They love tipping over the side of it best. Go, figure. Boys. 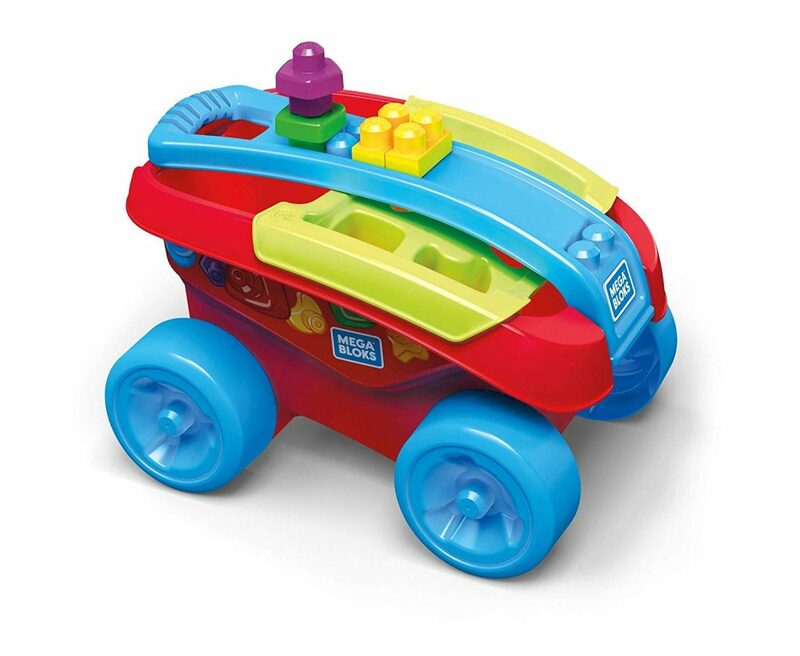 This is a great version of this toy – not only does it have the building blocks, but also a shape sorter. Definitely age appropriate for toddlers! Of course, the boys love pulling the wagon and dumping it over, but we also have a ton of fun with the blocks. Our favorite is to build towers and tunnels – for their cars, of course. 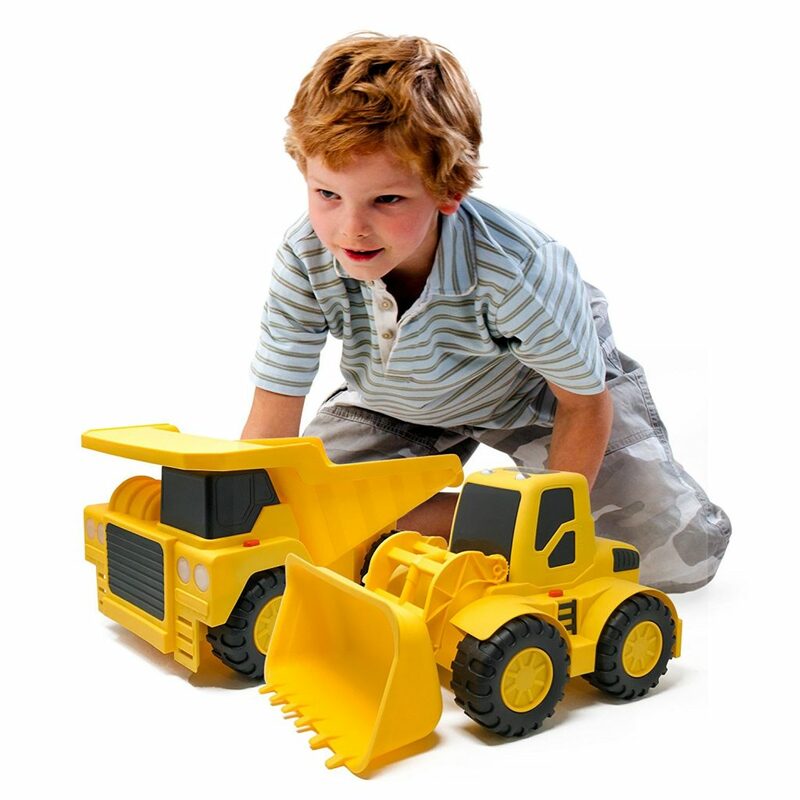 This 14″ truck is an indoor version of the Tonka truck. Same idea but made of plastic instead of steel. For us, it makes it easier to have certain toys we keep outside and certain that stay inside (for mama’s sake). 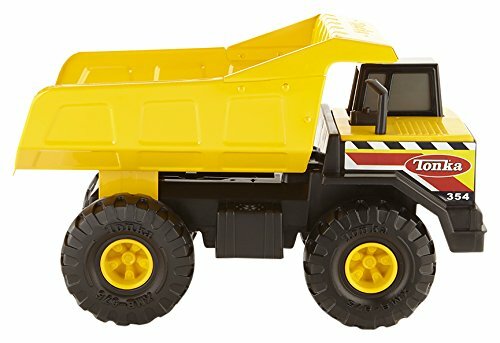 My son LOVES to run with this truck and push it around the house, filling it up with cars (of course) and any other random object he can find. I love that there’s a bonus crane with this! For $10 less, you can get a truck that’s a little bigger – “18 inch Dump Truck – but no crane. 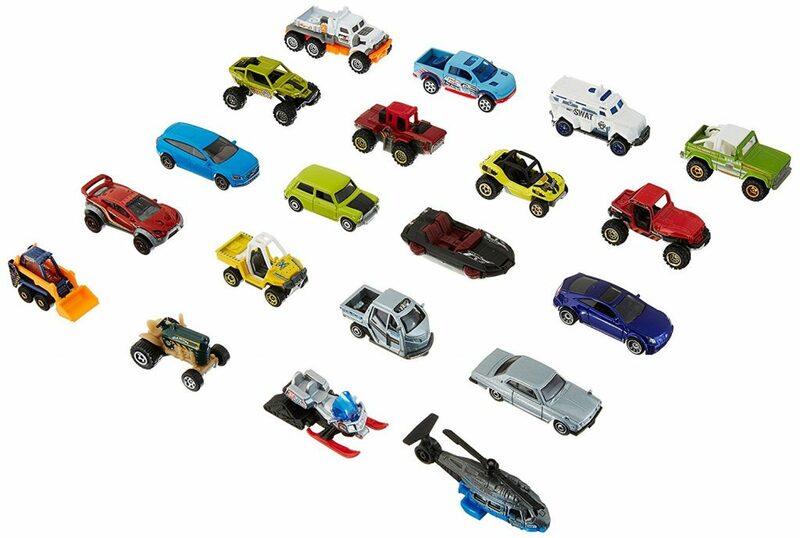 Seriously, you can’t go wrong with Matchbox Cars and you can never have enough. 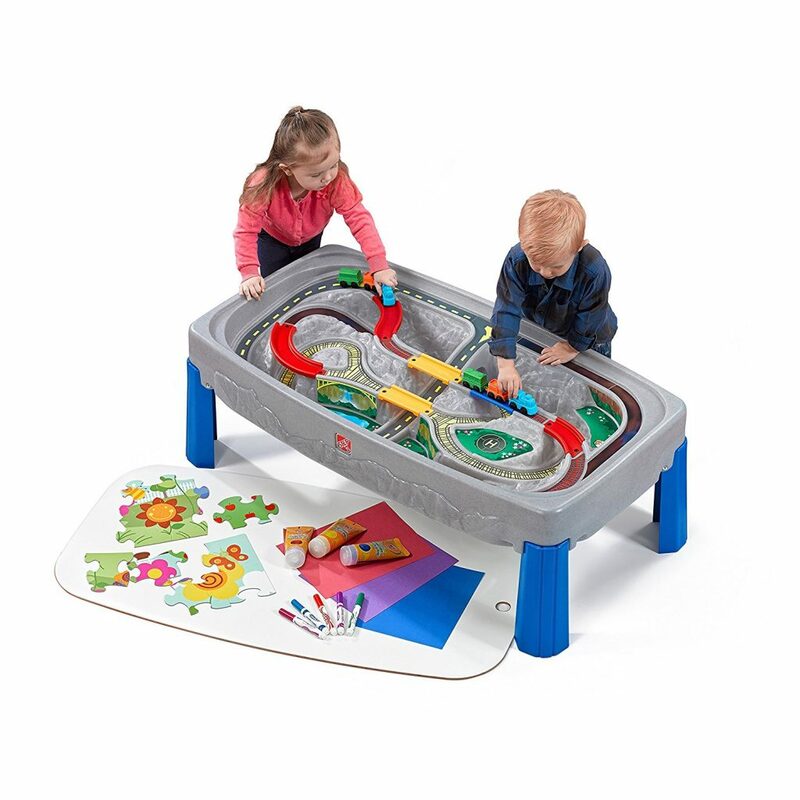 These are great for the car slides, the race tracks, and playing outside with. Great stocking stuffers, too! 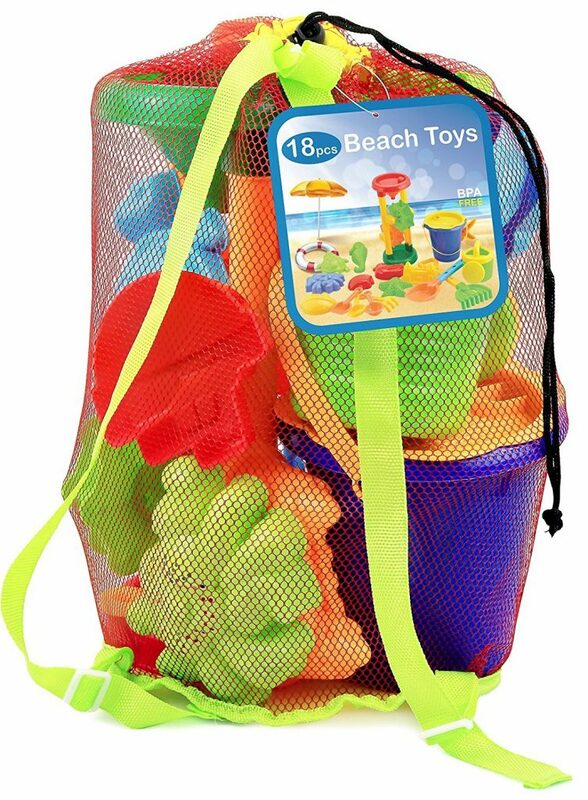 I know you think ‘beach’ when you see this, but these are great toys all year long. Shovels and buckets and sandcastle shapes are great for sandboxes and snow, too! There are always things to be collected in buckets – rocks, leaves, sticks, cars, Cheerios – and a pail of his own for all his important finds is a boy’s best friend. This was a gift from my husband’s coworker when we needed to stay in a hotel for a week while our house had some work done, and the boys were going to be without a lot of their toys. This coworker has such a knack for finding perfect toys for our little guys. Our boys LOVE smashing these into walls and doors and furniture so they ‘wreck’ and then can be clicked back into place. 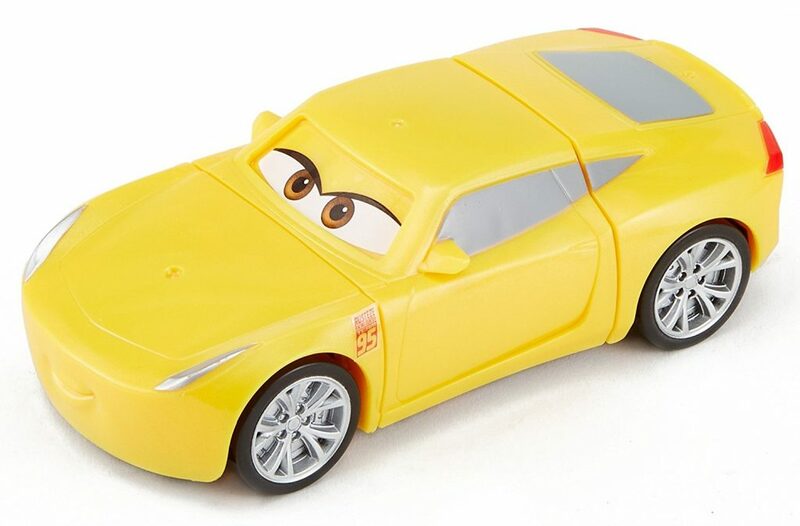 Like I said, our boys aren’t really into the Cars movies yet, but if your boy has a favorite, you can also get Dinoco Cruz, Cal Weathers, Fabulous Ligntning McQueen, and Bobby Swift. My son LOVES this wagon! He has so much fun loading it up and dragging it all over the house. 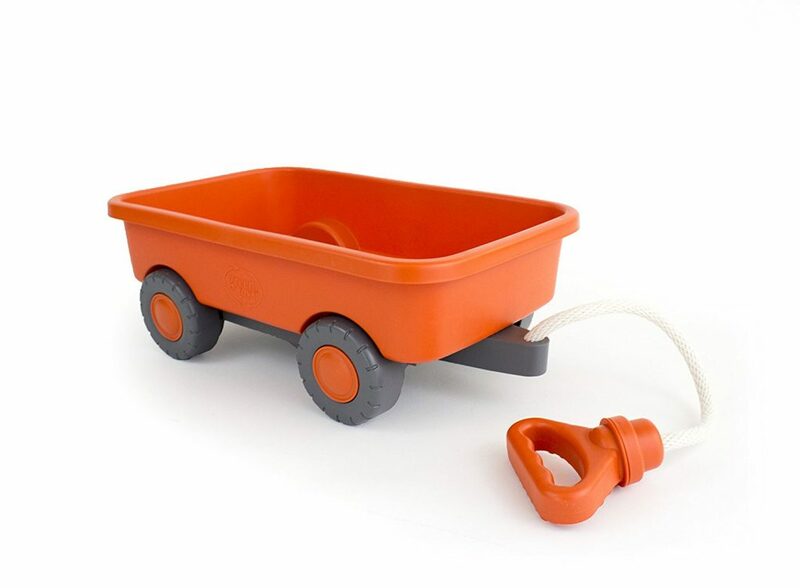 His cars, his stuffed animals, balls, other toys, shoes, clothes – whatever he can get his hands on – all go in the wagon. 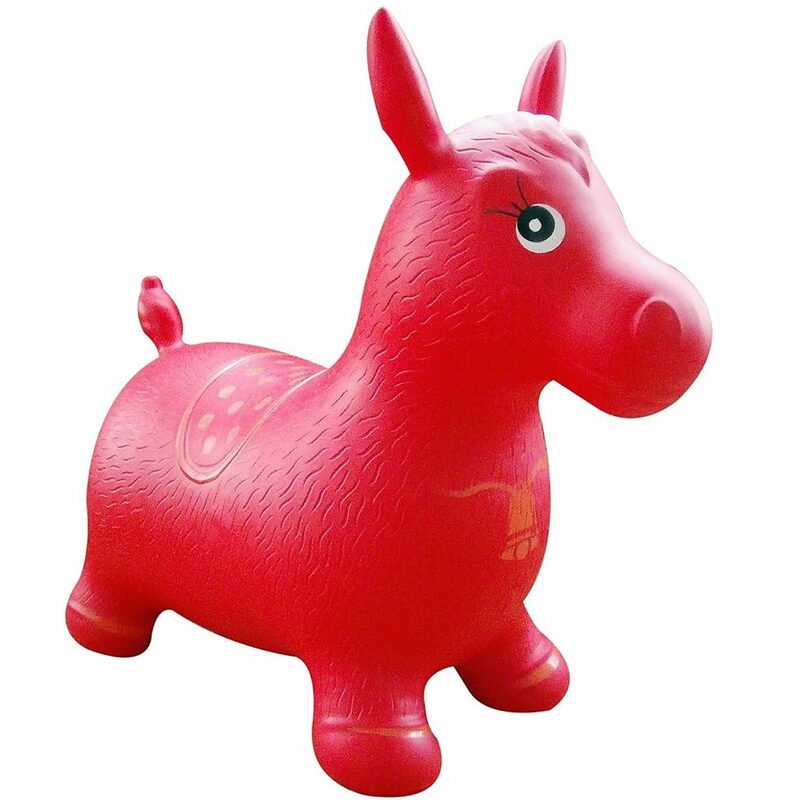 And it’s made from 100% recycled plastic and no BPA, phthalates or PVC. So, another win there! A friend of mine bought this for the boys’ 3rd birthday, and they have been obsessed ever since. They play with this one every single day. They not only use the cars that come with it, but they also use their monster trucks, race cars and trains. They love how the arm swings up and carries the car to the next level! This is a win! 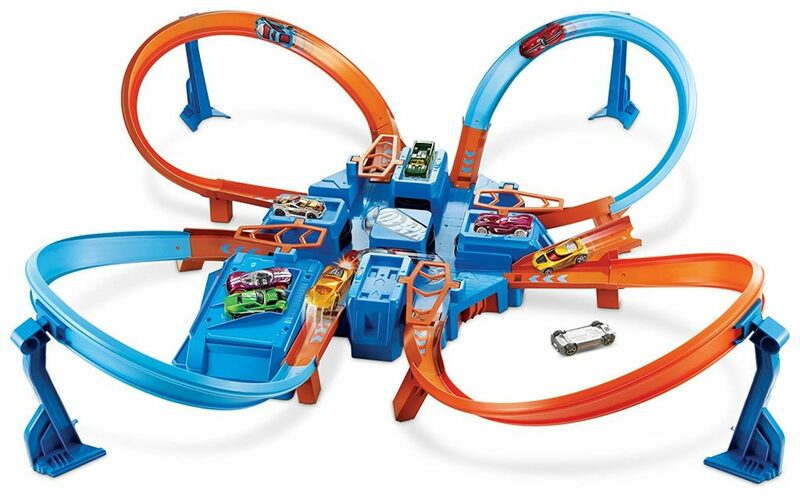 There are also siimilar items like Save the Day Fire Station, , Park and Learn Deluxe Garage, and Ultimate Wheels RC Speedway. You can also buy extra cars for the roller coaster! The boys saw an episode of Max and Ruby where he was digging for dinosaur bones, and they have been loving it ever since! They did everywhere they can find! I love this table because it’s sand and water! 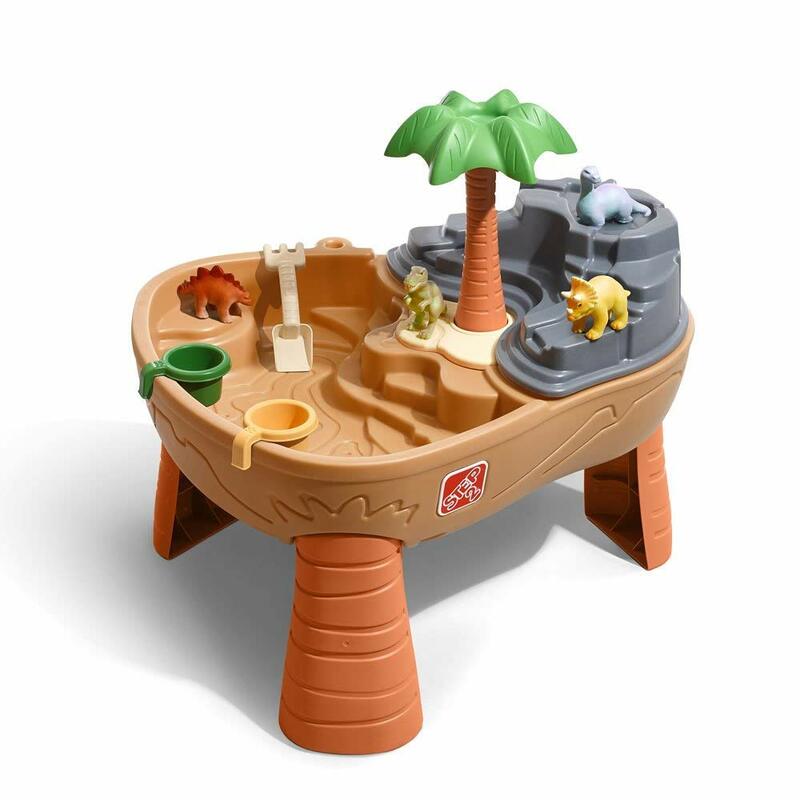 Perfect for winter and summer play! And to find dinosaur bones, of course! Some cheap ideas but always winners for our guys are: coloring books, crayons, markers, watercolor books with watercolor brushes or pens, books, balls (so many balls to throw and kick! ), bubbles. Those are all still fan favorites around here and great stocking stuffers also. I know the toddler age can come with lots of challenges, and boys are SO busy and noisy and crazy – but it’s so fun to watch them grow, and honestly, it’s more fun when we join in the fun with them. What are your toddler boys’ favorites?!? I’d love to see what I missed! 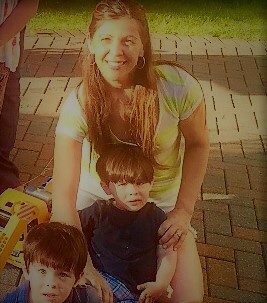 Love the trucks and trains as mother of boys! I have kept the Thomas the Train sets. So sad to see those days go! Make sure to make time to play on the floor with your kids! I'm so sorry for the late reply, Tanya. Thanks so much for coming by. Yes, it is all trucks and trains here, and I truly love all of it. I try very hard to be present and soak in each moment. The boys are truly precious - so grateful for making these memories!